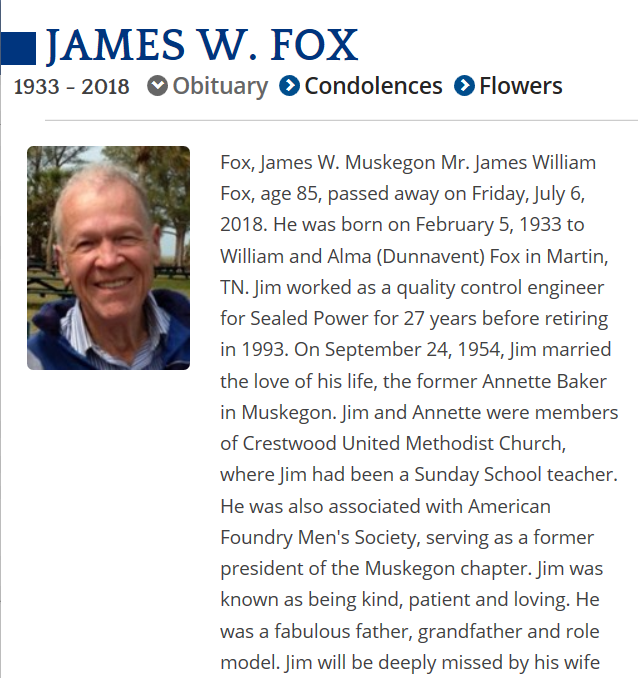 The current members of the AFS – West Michigan Chapter Board would like to acknowledge and honor the passing of one of our own, Jim Fox, who served as our President from 1979-80. Jim, his wife Annette, and his family; thank you for your service to our industry and our West Michigan Community. May you get some well deserved rest and peace.